Traditionally bisque is associated with crustaceans, but vegetables can also be a base for this thick, creamy soup that screams comfortable elegance. In a large sauce pan, heat 2 tbsp. oil over medium heat. 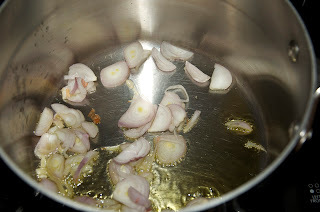 Add 1/2 c. of the shallots, cooking until they start to golden, about 3-5 minutes. 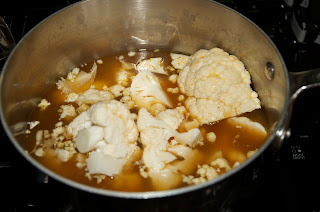 Add the cauliflower and stock. 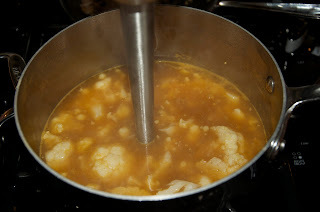 Increase heat to medium high and bring to a boil, allow to boil about 5 minutes, then reduce heat and simmer 15-20 minutes, making sure cauliflower is completely cooked through. While cauliflower is cooking, heat a small fry pan over medium heat with 1 tsp. oil. 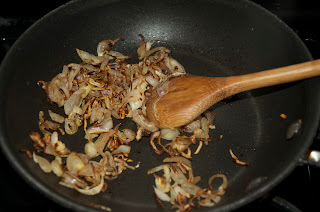 Add remaining shallots, cooking and stirring often, until they are caramelized. You may need to reduce your heat to medium low so they don't overcook. When cauliflower is cooked, use an immersion blender to blend the soup together so that it is smooth. Using a spatula, move the soup around to make sure there aren't any chunks. Stir in the coriander, cayenne, and almond milk, making sure that the soup doesn't boil. Add a pinch of white pepper and salt to taste. 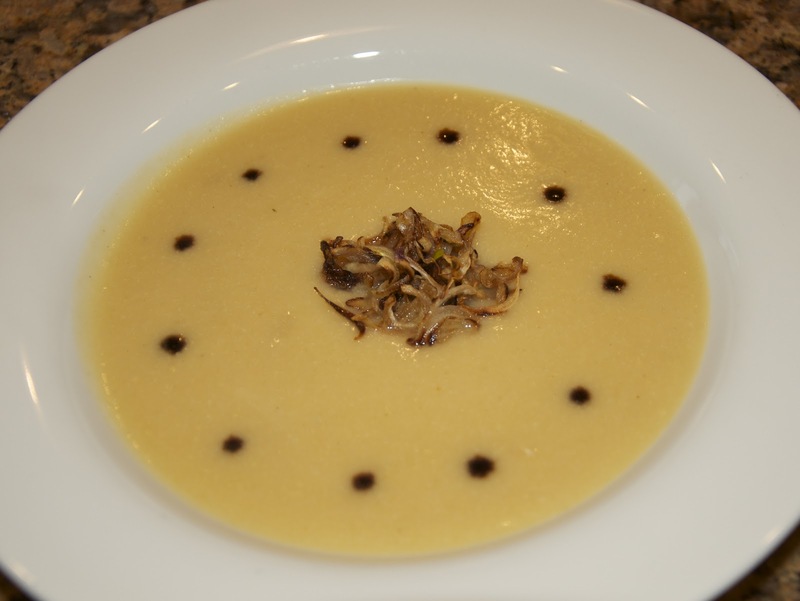 Serve soup in a bowl with drops of balsamic vinegar and caramelized shallots in the center.